Earn Loyalty Discounts on every order at www.greek-e-foodmarket.com ! Take advantage of our unique Loyalty Program that rewards you with discounts up to 10% of the value of your purchases! How do you earn discounts? You are entitled with an extra 2% discount on every order over 60,00 € you place in our e-shop, within each calendar year. For example: On your 2nd order over 60,00 € you will be entitled with 2% reduction, on the 3rd 4% discount, on the 4th 6% discount, on the 5th 8% discount and from the 6th 10% discount. Every order over 60,00 € ensures you a discount on your next order, according to the above table! 48 hours after your order, the new discount that you are entitled for your next order is introduced in your account. Are discounts valid for all customers? The Discounts apply only to retail customers that are registered in www.greek-e-foodmarket.com. The reason is simple: Otherwise it will not be possible to update your account with the discount that you are entitled to. The discounts do not apply when the customer places the order as a “Guest”. The discounts you are entitled will be removed on December 31 of each year? If on the 31st of December you are entitled to 10% discount, on the 1st order of the New Year a 4% discount will be calculated, on the 2nd order 6% discount etc. according to the table below. 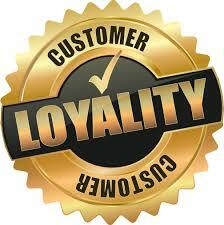 In this way our loyal customers will be entitled to discounts even from their first order, of the year.